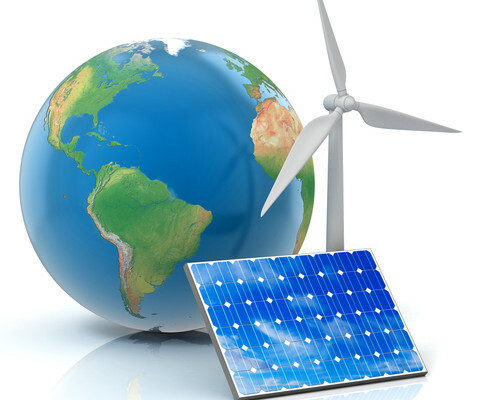 Energy storage: The tipping point in utilizing renewable energy? “Every day, the equivalent of almost two tons of coal per acre falls on the United States. It arrives as visible and invisible light – 20,000,000 kilocalories of solar energy. Most of it is wasted. We have reached a point where we need so much energy that we can see the eventual end of our supply of coal and oil. The energy released by the atomic bomb is matched every day by the sunlight that falls on 1 ½ square miles of land. The world’s supply of uranium and thorium are definitely limited and nonrenewable. – Excerpt from a March 1949 article in Popular Science on storing the energy of sunlight. For the sixty-plus years since that article was written, solar energy (and its sibling, wind energy) have been plagued by the problem that solar and wind technologies can’t produce electricity on demand as conventional power generation plants can. They produce electricity only when sun is shining or the wind is blowing hard enough. Additionally, wind turbines produce much of their power at night and during the winter when power demand and value are lower. For the renewable energies such as solar and wind, their future in the great panorama of power generation can be summed up in one word: Storage. However, this past year may prove to be the turning point, or perhaps more specifically, the tipping point, in our quest to harness solar and wind energy in a meaningful manner. Depending on which dictionary you pick up, a “tipping point” is defined as “the point at which a series of small changes or incidents becomes significant enough to cause a larger, more important change.” Or, perhaps more succinctly, “the ​time at which a ​change or an ​effect cannot be ​stopped”. The customary nod should be thrown in here to Malcolm Gladwell, who, while not inventing the term, certainly popularized it in 2000 when he defined a tipping point as “the moment of critical mass, the threshold, the boiling point”. For solar and wind to compete with fossil fuels, they will have to supply power 24/7. The breakthroughs in batteries and other storage technologies could fundamentally change the world’s power dynamics, and the events and milestones achieved in energy storage during 2015 certainly seem to add up to a tipping point in the quest to capture, store and release the energy generated by solar and wind. Last year, just the U.S. alone was expected to deploy 220 megawatts of energy storage, more than tripling 2014 figures according to a report from the U.S. Energy Storage Association. The vast majority of those projects used batteries, specifically lithium-ion batteries. One could argue that, by any measure, 2015 was a breakout year for battery makers. Keeping things in perspective, 220 megawatts isn’t a lot in the scheme of things. By comparison, the very large Ivanpah Solar Plant in the Mojave Desert covers a massive 3,500 acres of desert and can generate hundreds of megawatts of energy, while a large coal or natural gas plant can produce a few thousand megawatts. But a tipping point in a timeline is all about growth and compounding numbers. In the second quarter of 2015, the amount of energy storage projects installed was nine times higher than the amount built during the same time in 2014 and six times more than during the first quarter of 2015. What do all those numbers add up to? On its current trajectory, energy storage is expected to grow at roughly the same meteoric rate of growth over the next five years as solar energy did between 2009 and 2014, a whopping compound annual growth rate of nearly 70 percent. That supersonic burn is expected to continue, and IHS, an energy consultancy, predicts that energy storage will grow to roughly 6 gigawatts by 2017, and more than 40 gigawatts by 2022. That incredible growth rate can be primarily attributed to the drastically falling prices of battery storage, and Tesla Motors is certainly at the forefront of contributing and riding that declining cost curve. Back in July of 2015, Tesla Motors CTO JB Straubel was the headliner at the Intersolar North America conference. In his presentation he remarked that we’re at the beginning of a new cost-decline curve very similar to what solar panels have been on for the past several years. Like solar photovoltaic technology he noted, almost no one would have predicted that photovoltaic prices would have dropped as fast as they have, and storage is right at the cliff, heading down that price curve. He went on to state that battery cost decreases are going to drive batteries in the grid, and there’s going to be much faster growth of grid energy storage than most people would expect.